DemoCurmudgeon: Walker pushes Tax Cut = Higher Revenues Myth, the reason for Budget Shortfall. Walker pushes Tax Cut = Higher Revenues Myth, the reason for Budget Shortfall. Correlating Tax Increases and Decreases with Revenue: By conveniently pointing to places where tax cuts were enacted at or around the time of a recovery or boom, tax cut advocates argue that tax cuts increase revenue. The problem with this is that the revenue increases following the Bush and Reagan tax cuts are dwarfed by the revenue increase following Bill Clinton’s tax increase on the wealthiest Americans. 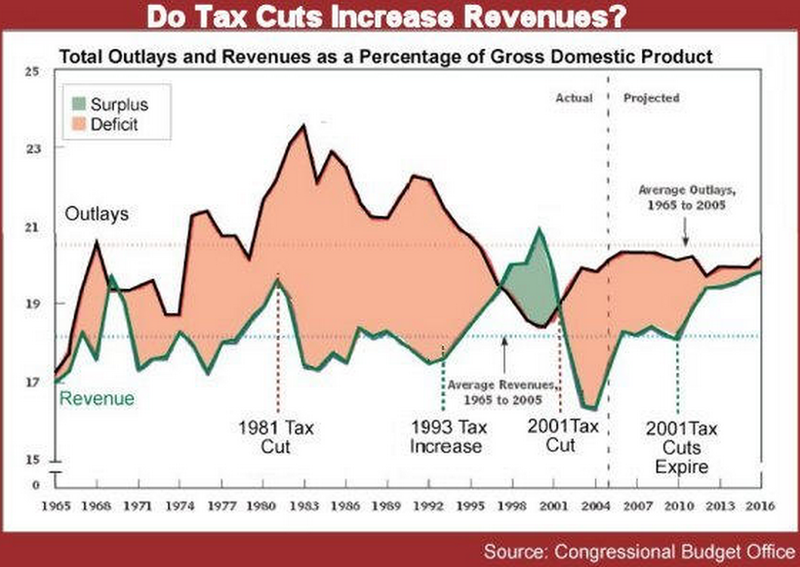 In fact, as a percentage of GDP, post-Reagan & Bush tax cut revenue falls below the 1965-2005 average. In other words, revenue increased because the economy was recovering/growing, and the tax cuts have little (probably nothing) to do with growth in GDP ... if anything, these tax cuts actually lowered revenue increased from what they would have been otherwise. So the real question to ask is this: how much revenue did these tax cuts cost us? 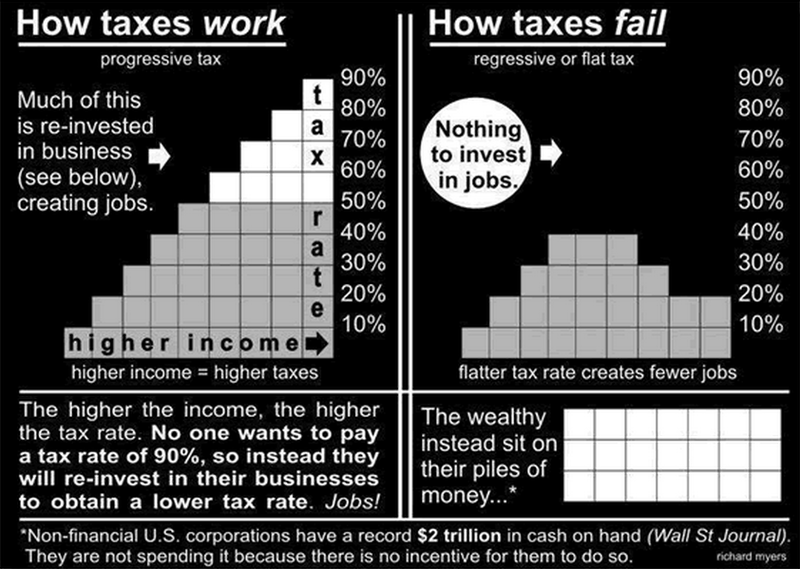 See Historical Tax Rates. 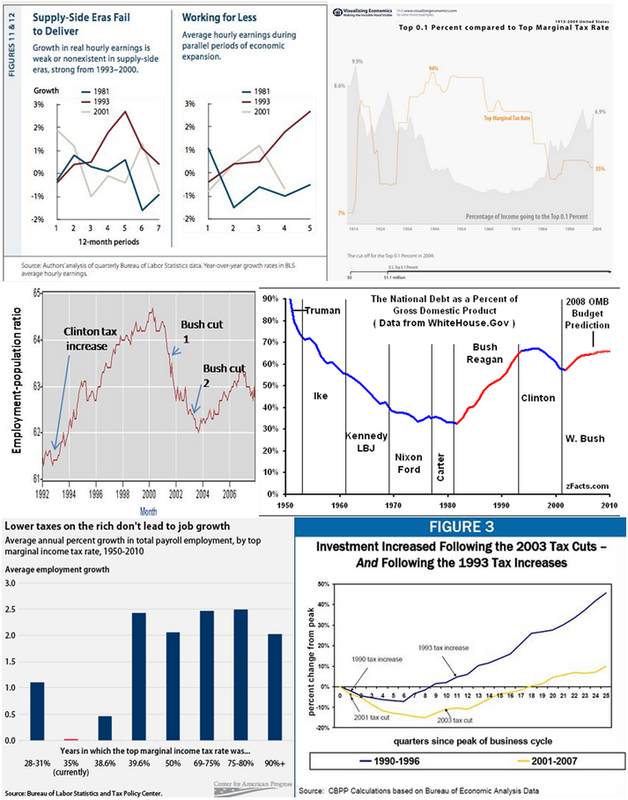 Reagan Tax Cuts: The Facts: Many Reagan apologists claim that these tax cuts created the robust economy that followed. However this ignores ignores the effects of the Federal Reserve’s lowering of interest rates. Reagan also increased military spending and ran up the federal deficit (the combined effect of tax cuts and increased spending). In other words, Reagan did exactly what Republican pundits who praise him are currently criticizing Obama for. Reagan advocates claim his tax cuts bolstered the economy while ignoring the lowered interest rates and increased deficit spending (kind of like an ongoing stimulus package).